Last week we covered Rules 18.1 and 18.2. This week, we’ll finish with Rules – 18.3 (Tacking in the Zone) and 18.4 (Gybing). Rule 18.3 is a common source of fouls on the race course. Fetching A boat is fetching a mark when she is in a position to pass to windward of it and leave it on the required side without changing tack. Rule 18.3 eliminates the mark-room provisions of Rule 18.2 for boats approaching the windward mark on port tack. This prevents chaotic situations at the mark. If you tack from port to starboard in the zone and are fetching the mark, you can’t cause boats coming in on starboard to sail above close-hauled. This is true even if you complete your tack clear ahead of the starboard boats. If you tack from port to starboard in the zone, you must give room to boats overlapped inside of you if they were on starboard since entering the zone. Description: Yellow and Blue are inside the zone sailing to the windward mark. Blue tacks to starboard and pinches up to round the mark. Yellow heads up above close-hauled avoid Blue. There is no contact. 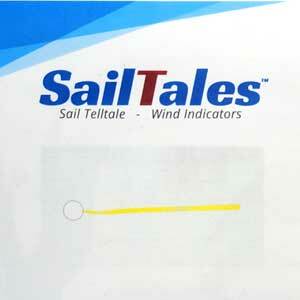 Description: Yellow and Blue are inside the zone sailing to the windward mark. Blue crosses Yellow and then tacks to starboard. Description: Yellow and Blue are inside the zone sailing to the windward mark. Yellow is reaching into the mark. Blue tacks to starboard and rounds the mark. Yellow heads up to close-hauled to avoid Blue. There is no contact. Description: Yellow and Blue are sailing toward a leeward mark. When Yellow enters the zone, Blue is overlapped. Yellow sails the course shown. Blue protests Yellow. Description: Four boats are sailing downwind towards a gate. Case 95 – Interaction between rules 18.1, 18,2, and 18.3.